A Toronto landmark has made a cameo in the the new Star Trek: Discovery television series on CBS. The series, which has been shooting in the city since January and premiered in September, used a popular spot in the city to portray a popular destination in deep space. 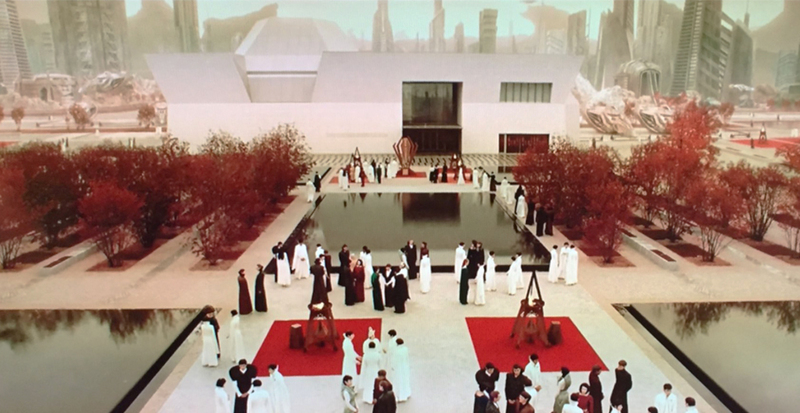 In the episode, Toronto’s earthly Aga Khan Museum for Islamic art and Muslim culture is used to portray another world – in particular, the planet of Vulcan. If you missed the shot – or the whole episode itself – never fear: Eagle-eyed viewers quickly took to social media to make sure this wasn’t missed. With a second season just confirmed, and nine months of filming to draw from, this could quite possibly be one of many Toronto cameos featured in the series. The new series is set roughly 10 years before the events of the original Star Trek series, and is not related to the recent feature films.